CityStudio Vancouver is an innovation hub inside City Hall where staff, university students and community members co-create, design and launch projects on the ground. 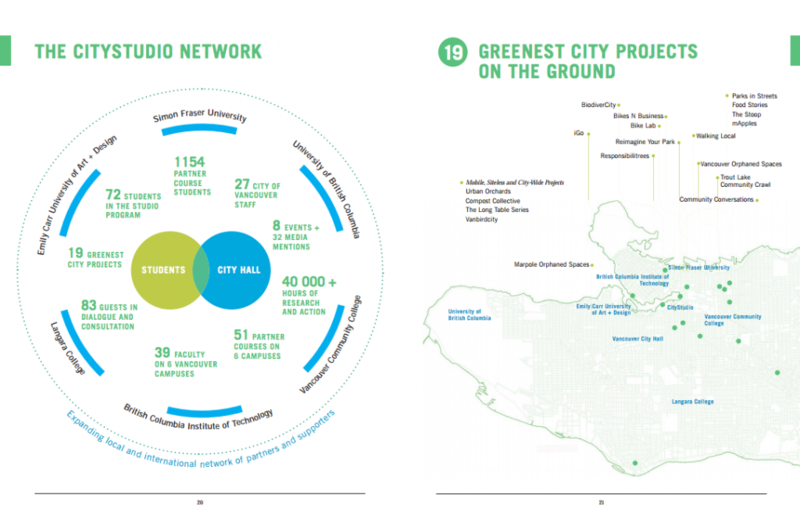 The central mission of CityStudio is to innovate and experiment with the ways cities are co-created, while teaching students the skills needed to collaborate on real projects in Vancouver with City staff and community stakeholders. These projects improve our city and enrich our neighbourhoods, making the city more livable, joyful and sustainable. 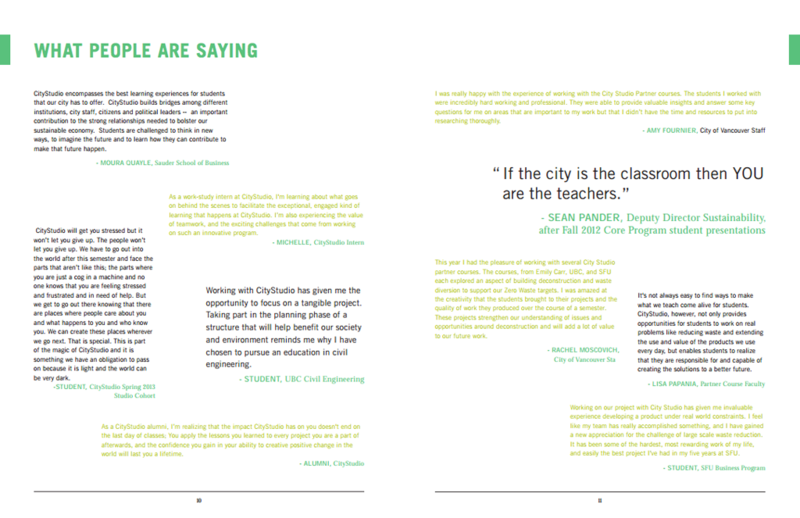 This annual report was used as a strategic document to report on the activity of CityStudio in its first two years of operations.